Zen Green Tea sent me some Green Tea Matcha to try. They had no idea that I just love green tea… actually it is so yummy the smell of the matcha powder made me want green tea ice cream. 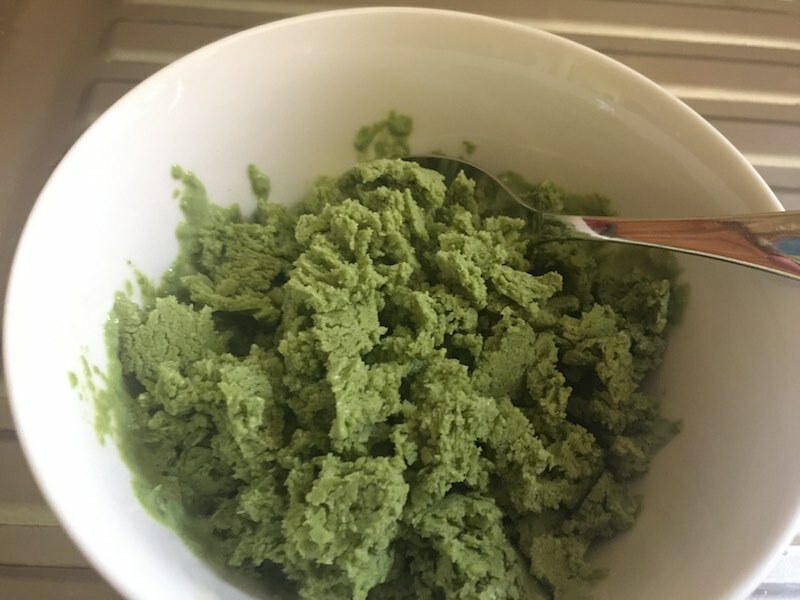 However, I am trying to watch what I eat and thought why not create Matcha Green Tea Yoghurt. A healthy alternative to ice cream. 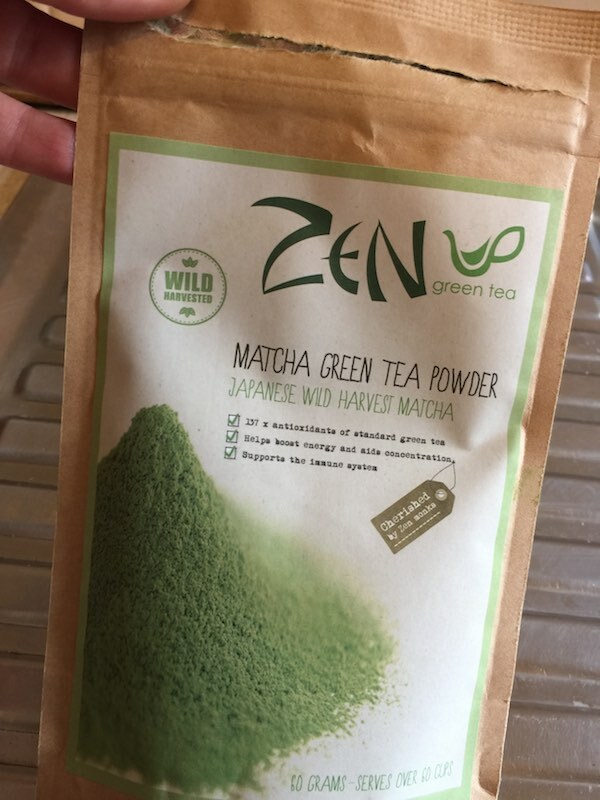 Matcha’s whole-leaf stone-ground powder gives you 100% of the health benefits of green tea: from boosting energy and concentration to fighting cancer. Helping your body fight anything is good in my book. Due to drinking the whole leaf – one cup of matcha delivers 137x the antioxidants of a cup brewed with a green tea bag. 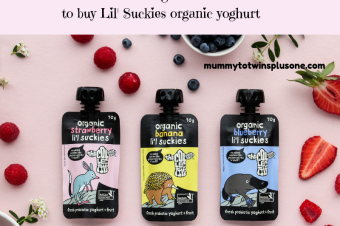 How amazing is this and great for you! The ingredients I used to make the Matcha Green Tree Yoghurt. 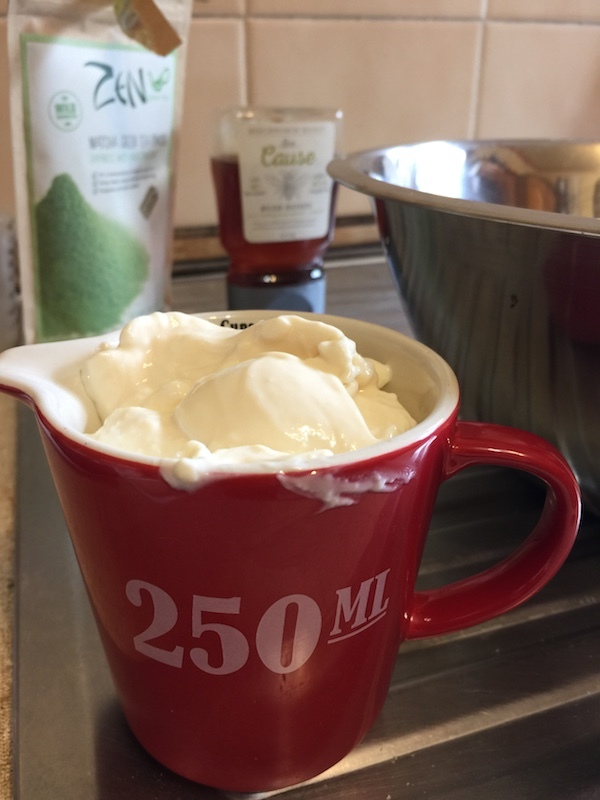 3 cups of yoghurt – I used Jalna creamy honey vanilla yoghurt. 1 Tablespoon of honey (whatever you have available) Note: you can add more honey if you like it sweeter. Adding the Matcha Green Tea powder to the mixture. Mix ingredients together with a stick mixer or put in a blender. If you have mixed in a blender pour into an airtight container and freeze. Freeze for 2 nights and then eat! 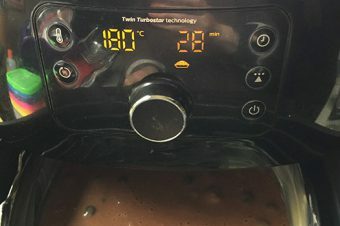 To serve: Take out of the freezer and wait a bit for the frozen yoghurt to be soft. Once a bit softer you can use an ice cream scoop to put some in a bowl to eat. Ready to eat and smells so yummy! This Matcha Green Tea Yoghurt is a great summer afternoon treat. Enjoy your yummy Matcha Green Tea Frozen Yoghurt. 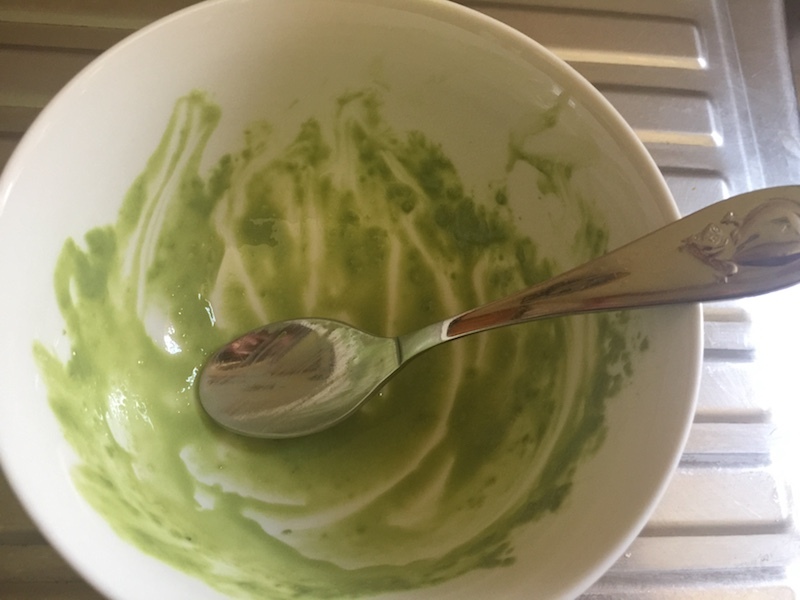 One finished bowl of Matcha Green Tea Yoghurt…. or should I say what is left of the yoghurt. This super easy and quick dessert is a great treat and also super healthy. Store it in the freezer and just use it whenever you need it. Its an excellent after dinner dessert. 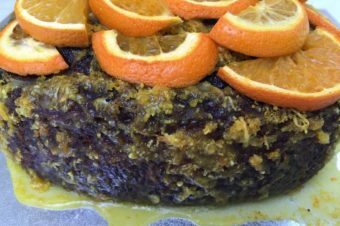 You can add berries, nuts and anything else you would prefer to make it your own. 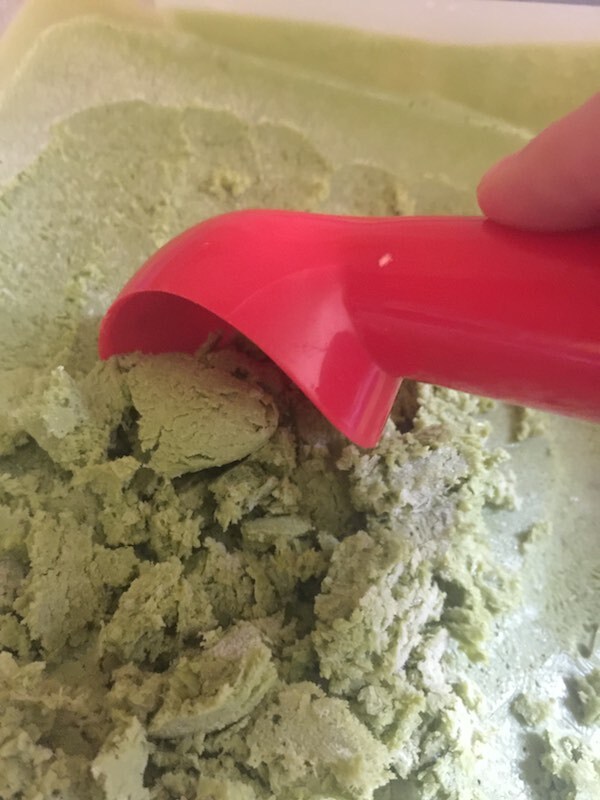 I hope this has inspired you to make your own frozen yoghurt with Green Tea Matcha Powder. A HUGE thank you to Zen Green Tea for sending me some samples to try. 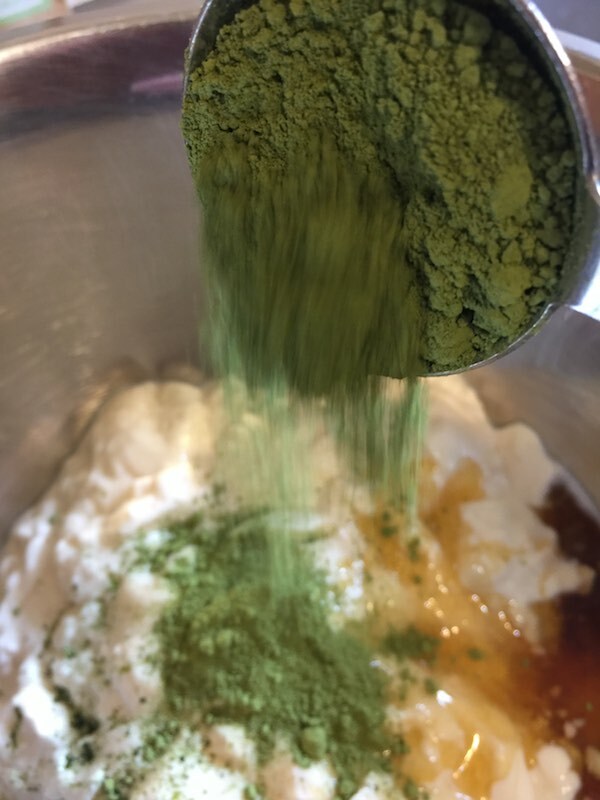 Coming soon are things to make with Turmeric Matcha Green Tea Powder, plus more recipes for the Green Tea Matcha Powder.